With yet another investigation into the failed energy market, it’s hard to see why consumers should have any more confidence in this latest initiative. Ofgem is referring the energy market to the Competition and Markets Authority (CMA) for a full investigation. They claim this should ensure, once and for all, that competition works effectively for consumers, by bearing down on prices while driving improvements in customer service and innovation. In a separate initiative, Ofgem has called on the Big Six energy suppliers to explain to their customers what impact falling wholesale costs will have on their energy prices. 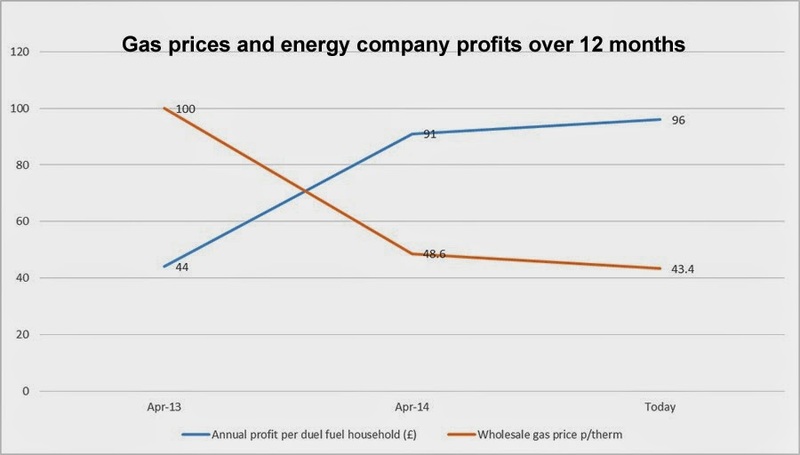 Both wholesale gas and electricity prices have been falling significantly. In early June 2014, gas prices for next day delivery reached their lowest level since September 2010 and are now around 38% below this time last year. The trend has been similar in electricity, with prices reaching their lowest level since April 2010 at the beginning of June. They are currently around 23% lower than this time last year. Forward prices for gas and electricity have also fallen. Compared with last winter, gas and electricity prices for the coming winter are around 16% and 9% lower respectively than last year. Even energy minister, Ed Davey, has admitted there was a “lag” in falls in wholesale electricity and gas prices being passed onto energy customers. In this context, it is hardly surprising that customer complaints to the Big Six energy companies have reached their highest-ever levels. The Big Six suppliers received a total of 1.7m complaints in the first quarter of 2014, up from just under 1.5m in the same period last year. The quarterly performance is the worst for the sector since its biggest players started compiling records in 2012. A survey by SMCDB found that more than half of UK consumers don’t trust energy suppliers amid widespread confusion and anxiety about bills. Some 51% said they did not trust any energy supplier, with this rising to 57% of those living in fuel poverty or with a disability. More than a third were concerned that their energy bills are not accurate, and 41% worried that they pay for more energy than they consume. As usual, Ofgem’s solution is that more customers should switch supplier. Under their new plan consumers will be able to switch electricity and gas supplier within two-and-a-half weeks, including the two-week cooling off period. They have also published additional plans to introduce next-day switching by 2018 at the latest. Around 62% of people have never switched energy supplier, and these people are often on old, uncompetitive deals and consumers could save up to £200 a year if they switched. However, the SMCDB survey revealed that more than two-fifths of consumers did not believe they have the information they need to choose the right energy tariff, while almost as many were not confident they had enough information to select the right supplier. Energy companies are now making a record £96 per household, with profits doubling in the past year despite a drop in the price of wholesale gas. The profit on selling gas has now reached 10 per cent – double the 5 per cent profit margin companies were making this time last year. On this evidence, yet another review of our failed energy market looks less than convincing to consumers. That’s why there is growing support for more radical solutions, including public ownership. Tomorrow, UNISON’s local government members in England, Wales and Northern Ireland will be going on strike, joining with other public sector workers in their effort to secure a decent pay rise. In Scotland, local government workers have voted for industrial action by two to one in a consultative ballot and will be considering the next stage of their own pay campaign later this month. Matt Sykes, at the Touchstone blog sets out why public service workers are taking action. He argues that it’s a wider manifestation of the anger and frustration felt by public sector workers over pay and living standards. Industrial action is the inevitable consequence when you have a government that makes announcements over pay, rather than engage in a meaningful dialogue. The declaration that pay restraint will continue until 2018 is another example of this. UNISON’s Heather Wakefield sets out the local government case at the Public Finance blog with a damning set of statistics on pay and the long-term impact on pensions. Again, there have been no real talks and the employers have refused to join the trade unions in independent arbitration. The TUC has published figures that show how the UK government has frozen or limited pay increases to well below the cost of living. 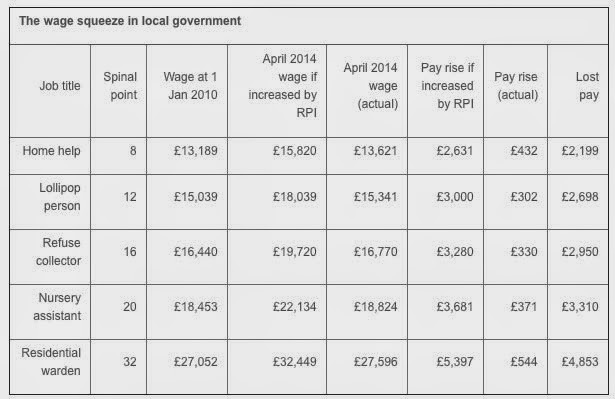 This has left local government and other public service workers on average £2,245 worse off in real terms since this government came into office. Concern about the standard of living stretches into retirement. Research published by Aviva indicates that a fifth of people in Britain believe they will have to “work until they drop” because they cannot afford to retire. Money worries mean millions of over-40s are expecting to carry on working until they cannot physically continue. Others are concerned about paying their day-to-day bills without the regular income from employment coming in. An important element of current pay claims is the Living Wage. The final report of the independent Living Wage Commission, chaired by the Archbishop of York, Dr John Sentamu says that the number of people on low pay in the UK can be slashed by over 1 million by 2020. The Commission warns that, if the government does not support the voluntary extension of coverage of the Living Wage, some working families will continue to rely on emergency measures, such as food banks and unsustainable debt, to get by. Currently 5.2 million people earn less than the Living Wage in the UK and the majority of people in poverty are now in working households. This message is reinforced in the largest study of poverty ever conducted in the UK. The Poverty and Social Exclusion in the UK (PSE) project details how, over the last 30 years, the percentage of households living below society’s minimum standard of living has increased from 14% to 33% – despite the fact that the economy has doubled in size over the same period. These findings seriously undercut the UK government’s claim to be lifting people out of poverty through work. Cuts to welfare benefits add to the low pay misery. The Joseph Rowntree Foundation’s annual Minimum Income Standard report looks at how much people have to earn taking into account family circumstances, the cost of essentials and changes to benefits. This shows that a lone parent with one child now needs to earn more than £27,100, up from £12,000 in 2008. A couple with two children need to earn more than £20,200 each, compared to £13,900 each in 2008. Single working-age people must now earn more than £16,200, up from £13,500 in 2008. Public service workers are at the front line of the attack on wages, while this government awards handouts to the super rich. Tomorrow is just the start of a fight back to keep workers out of poverty. 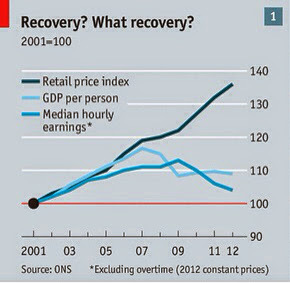 There is no recovery in the wages and living standards of working people since the rich and powerful crashed our economy. A number of reports have analysed the latest data on household incomes and wages. The Scottish Government's paper highlights that the number of people living in poverty in Scotland increased to 820,000 last year. The 2012-13 figure, which accounts for 16% of the population, was 110,000 more than in the previous year. The number of children in poverty rose by 30,000 to 180,000. For some real stories behind the statistics you can read a survey, commissioned by UNISON's NHS Greater Glasgow branch. Nearly a third of respondents said they constantly struggled to pay household bills, with 11% falling behind on mortgages or rent. 17% were behind on council-tax bills, 15% on hire purchase payments and 20% on credit-card payments. Borrowing from family was common and 16% of workers used credit unions. 4% had used payday loans. 58% said they could not meet an emergency expense of £500. The Scottish Parliament research unit (SPICE) has produced an interesting analysis of long term trends in Scottish household income. There is a lot of discussion about how wealthy Scotland is in the referendum debate. However, this tends to focus on GDP rather than the incomes of people that actually live in Scotland. This paper shows that the average level of disposable income per head in the UK is £16,791. Scotland comes in just below this at £16,267. However Scotland is catching up since devolution. Between 1997 and 2012 household income in Scotland increased by 27% as against 24% in the UK as a whole. Within Scotland we still have significant inequality. Glasgow City has the lowest level of disposable income with just over £14,000 per head, compared with just over £19,000 per head in Edinburgh. Official UK figures from the ONS still show median and mean incomes in 2012-13 6% and 9% below their 2009–10 peaks respectively. This follows a period of slow income growth that began in the early 2000s. The net result is that the official measure shows both measures of average income no higher in 2012–13 than in 2001–02. In 2012–13, 10.6 million individuals in the UK (17%) had a household income below the official absolute poverty line (e.g. below £272pw for a childless couple, net of taxes and inclusive of benefits). This is actually a poverty rate no higher than before the recession. However, when incomes are measured after deducting housing costs, the number below the poverty line (e.g. below £235pw for a childless couple) rose by about 600,000 in 2012–13 to 14.6 million (23%). This is about 2.0 million higher than in 2007–08. Of course not everyone is suffering. The bankers in the City and their friends in the media may not have noticed growing poverty, because the share of post-tax income captured by the richest 1 per cent leapt from 8.2% to 9.8% in 2013/14. There may be a modest economic recovery, but the official data shows that household incomes have not recovered, except for those who caused the crash. And they won't, until we see real wage growth. The idea that there is, 'more than a negligible chance that the possession of nuclear weapons might play a decisive future role in the defence of the United Kingdom' is justification for spending £billions on the Trident replacement is very weak. No other major public spending decision would be made on this basis. The Trident Commission has published its report and argues that the UK should retain and deploy a nuclear arsenal for reasons of national security and its responsibilities to Nato. It's overall recommendation is of course no surprise, as it was set up by the British American Security Information Council and it's members have previously expressed their support for nuclear weapons. What is a surprise, is the tenuous justification for replacing Trident. I personally, unlike most CND members, don't start this debate from a position of principled opposition to nuclear weapons. Yes, it's a terrible weapon system, but so are many others and unless you are a pacifist, which I am not, you have to accept that many weapons systems fail on that test. My test would be, is it an effective weapon system that can be justified on a Best Value test? When public spending is being slashed, defence cannot be exempt from scrutiny. In addition, for every Trident Commission expert, there are many former and existing senior members of the armed forces who argue that Trident is the wrong system and poor value for money. This is particular so when we have sent young men and women into combat zones with inadequate weapons and protection. It is noticeable that the case for Trident is often predicated on the 'seat at the top diplomatic table' argument. In fact the Commission's membership has a strong diplomatic weighting. That's a very expensive seat and it has been argued that Trident should be funded by the Foreign Office, as it has no useful defence function. As we are in Scotland weeks before the referendum, this report has a special relevance in the independence debate. My own view is that the section on nuclear weapons is one of the better parts of the White Paper, not least because there is less assertion and more deliverable action. Of course, for those who object to nuclear weapons in principle, shifting them a few miles down the road is of limited comfort. I would argue that Faslane could be relocated in rUK, but relocating the weapons handling facility at Coulport is much more challenging. Credible experts say it is not possible and therefore ejecting nuclear weapons from Scotland would have a knock on effect for the rUK. There is a jobs argument, although those in favour of Trident have a bad habit of quoting the thousands working in the complex, rather than the few hundred working on Trident. The STUC report is the credible read on this issue. The Scottish Government argues that these will be absorbed into the new naval base. However, Scotland's main naval base ought to be nearest the main threat - that points to an East coast base, not Faslane. The bottom line for me is that the justification for the replacement of Trident in this report fails the best value test. The main security threats to Scotland and the UK would not be countered by Trident and the huge cost comes at the expense of conventional defence and other vital public services. It needs something, 'more than a negligible chance' that nuclear weapons 'might' play a role, to justify this level of spending.